Target is the perfect store. It has everything you could ever need and more. Ever since I downloaded the Target Cartwheel app, I have been searching for awesome deals every day, checking out the different offers to see if they are worth while. I did use the Cartwheel app today, but not on the big purchase. The only reason I went to Target today was because I had my eye on some shoes. I have been wanting wedges for a while, and I never have the courage to wear them, they make me extremely tall! Well, I perused the Target website in search of some wedges, and found some adorable, navy blue wedges. When I went to Target today, there were no navy blue wedges, but they had tan or black. I chose the tan for Summer. These were actually the display shoes, but I snagged them because they were the only ones in my size. I purchased them! Sadly, Cartwheel did not have any deals for shoes, so I paid full price. I'm fine with that though, these shoes make me smile. While waiting for my sister to look through the clothes, I went to the beauty section of Target. I am finding myself always looking at the makeup section, I have never really been interested. I am stuck in my makeup ways. I remembered that I found a deal on Cartwheel for 10% off Neutrogena cosmetics, so I went and looked at the Neutrogena section. I found a wonderful lip stick, it is new from Neutrogena, a Neutrogena Color Stick. I purchased the color Juicy Peach with my Cartwheel app. 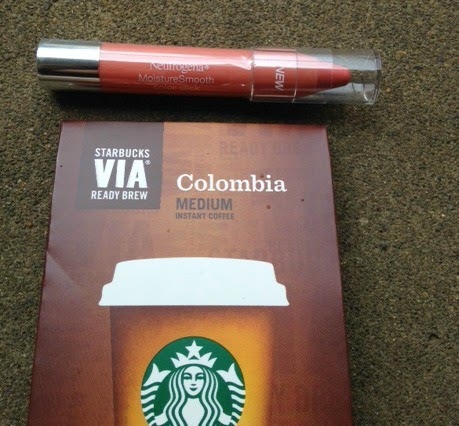 I also purchased some Starbucks VIA, sadly not with the Cartwheel app. I am really excited about my wedges! 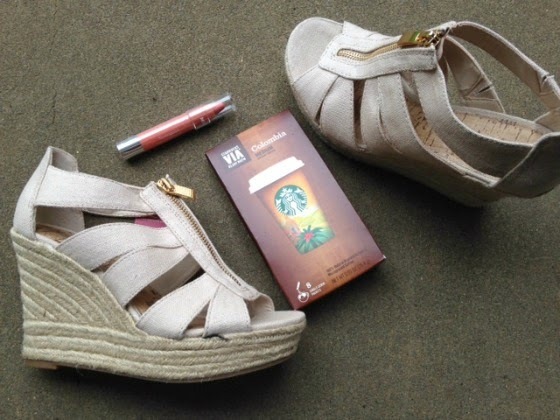 Tomorrow, I am going to do a "What I Wear" post, and feature my new wedges. For everyone with smartphones, download the Target Cartwheel app!